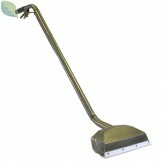 PMF's Mach 15 Wand is the Carpet Cleaning wand that every other Wand is measured against. With a 15" wide suction head and 2" down tube, PMF's Titanium wand was engineered for maximum vacuum conducive to maximim soil recovery. Weighing in at just under 9 lbs, and as durable as all get-out, PMF's Mach 15 Titanium Wand is one of the easiest most effective carpet cleaning wands to use, period. In addition to the titanium, the entire Mach 15 Wand is made with the highest qualtiy components available to ensure years of trouble free and efficient service. PMF even built the Mach 15 with flexible & ultra durable stainless steel solution lines! PMF's Mach 15 spray jets blast cleaning solution as the perfect angle, moving soils across carpet fibers, rather than pressing them deeper within. 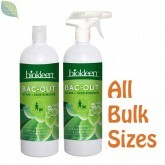 Soils are loosened and left in a perfect position to be immediately extracted by the powerful 15" wide suction slot. Additionally, PMF installed stainless steel check valves to prevent dripping at the jets when the trigger valve is released. The Mach 15 has a low profile head which slips right underneath low slung furniutre, eliminating the need to switch to a special tool. PMF's Mach 15 comes standard with Stainless Steel Glides but offers upgrades to either Stainless Steel "Ski" Glides, and even Teflon Glides, the ultimate in reduced friction and relief from back strain! 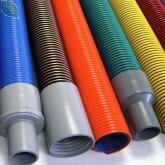 The Mach 15's 2" Recovery Tube provides for maximum soil recovery, and outstanding carpet cleaning results. If your looking for the most effective, most efficient, fastest cleaning, and easiest to use Carpet Cleaning Wand in the professional Carpet Cleaning industry, look no further. 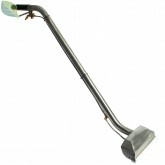 You've found it in PMF's Mach 15 Titanium Carpet Cleaning Wand! When a wand or tool is submitted to us within the 1 year warranty period, either Bulk Green Cleaners or PMF will email you a shipping label to return your package. We will not supply you with a box so... Please save your box!. Providing damage is not found by PMF to be due to neglect, misuse or abuse, you will not need to reimburse us for shipping costs. However, if the damage is found not to be covered under warranty, PMF will fix the issue for a reasonable fee, and you will be responsible for all shipping costs incurred due to the repair(s). Stainless Steel: This is the stock option that the wand comes with by default and includes two SS glides, one for each lip. Stainless Steel Ski: This is the upgraded Stainless Steel 'Ski' Wand glide that further reduces friction for easier movement across carpeting. This upgrade includes replacing one of the regular SS glide lips with the Ski Glide. So you'll have one regular SS glide and 1 SS ski glide. 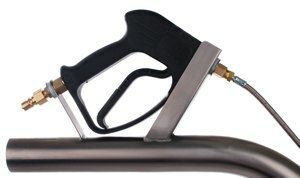 GHP 5000 Gun: The GHP G000 Gun Valve upgrades from the standard 800 psi (V800EZ) brass trigger valve, to a 5,000 PSI gun style valve. Note, while the 800 & 1250 psi valves are mounted below the wand handle, the 5,000 psi valve is mounted above it. This in turn requires a different arm position as the wand handle will need to be help higher with arm bent more to maintain proper head contact with the carpet. This can be ideal for taller individuals that normally have to drop their shoulder and/or bend their back slightly to mainatin proper contact, but may prove uncomfortable to shorter individuals who find that the standard wand valves are at the perfect placement for proper cleaning positioning and minimal arm fatigue. Please consider this before deciding wether this upgrade if right for you, as the wand cannot be returned if the positioning is not ideal for you. 5,000 psi Gun Style Valve: Rebuild kit for the guts of the GHP 5000 psi Gun Style Valve. Stainless Steel: This is the stock option that the PMF Mach 15 Wand comes with by default. It includes two SS glides. One for each lip. Stainless Steel Ski: This is the upgraded Stainless Steel Wand glide that helps reduce friction for easier movement across carpeting. It includes 1 Regalar SS Glide and One SS Ski Glide. Teflon (w/Adapter): Choose this option if you did not choose 'Teflon Wand Glides' under the required 'Wand Glide Type' drop-down above since you will need the adapter to attach the teflon glide to your Mach 15 Titanium Wand. You can purchase in quantities of 1, 2 or 3 at time of Mach 15 Titnaium Wand Purchase. Although Titanium does not conduct electricity as readily as Copper, or even Stainless Steel, when you & the cleaning tool are in contact with a wet surface, this presents substantial risk of electrocution should you contact an electrical power source such as a damaged power cord, or a lightening strike at or near your vehicle while cleaning. Please use Caution. Check cords for damage prior to carpet cleaning and terminate cleaning operation during thunderstorms.